The Cybex VR1 pulldown has been engineered to guarantee faster fitness results and can be used in different types of gyms. This 100kg (220lbs) weight stack pulldown offers the machine-defined path of motion which makes it suitable for seniors or users who are new to this type of exercise. The choice between barbell and neutral grips allows for finding the most comfortable training position. 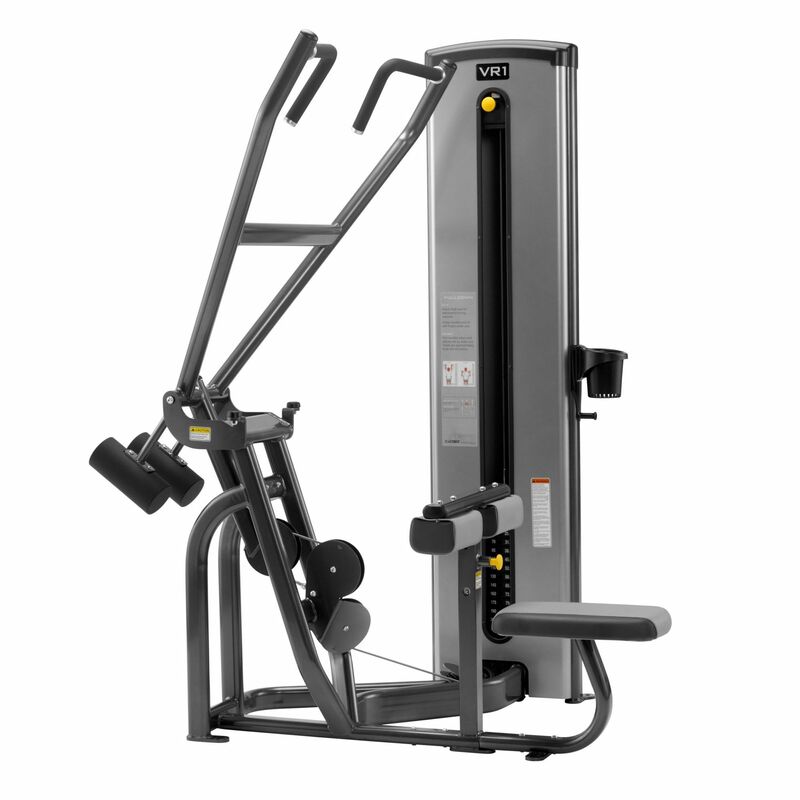 The machine is equipped with adjustable thigh pads that accommodate a variety of user heights. for submitting product information about Cybex VR1 Pulldown We aim to answer all questions within 2-3 days. for submitting product information about Cybex VR1 Pulldown. We aim to answer all questions within 2-3 days. If you provided your name and email address, we will email you as soon as the answer is published. for submitting product review about Cybex VR1 Pulldown.